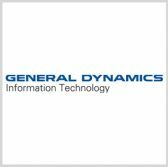 A business unit of General Dynamics has received a potential five-year, $31 million task order to provide contact center support for the Centers for Disease Control and Prevention. General Dynamics Information Technology will help CDC establish a multichannel, multilingual contact center as well as integrate and assess technology platforms for the facility, the company said Thursday. The contract contains one base year and four option years. GDIT will also support CDC’s efforts to disseminate health and safety information to federal partners, healthcare providers and the general public through the task order. General Dynamics supported CDC over the past decade and helped the federal government develop programs and systems such as the Chronic Conditions Data Warehouse, Drug Data Processing System and Payment Reconciliation System, Retiree Drug Subsidy Program and Cloud Computing Services Program.